After M & D Mechanical assisted in the first expansion of the existing hospital, Crestwood quickly realized the need to add additional private rooms to its facility. However, the challenge for the owner was finding the additional land for such a project. With the existing facility “land-locked”, the decision was made to go vertical. This would require building a hospital on the top of an existing hospital with no break in operations. With the additional square footage, the hospital also needed to add a large amount of heating and cooling capacity. The increased capacity would require adding a new chiller, pumps, and boiler system to the existing powerhouse. Also, the addition of three new air handling units and the relocation of two existing air handling units located in new penthouses would be required. To be complete, all 30 patient rooms would require a water closet, lavatory, shower, and complete medical gas systems. 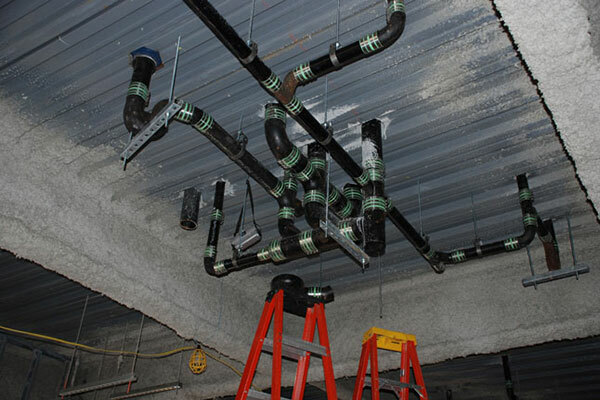 M&D Mechanical Contractors, Inc., M&D, was invited to competitively bid the mechanical and plumbing systems of new 30 Bed Vertical Expansion project by Hoar Construction, LLC based on past performance with the last project addition.